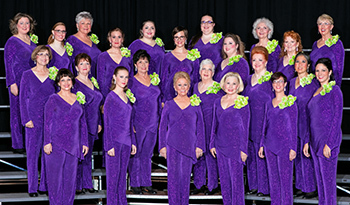 High Desert Harmony is an extraordinary group of women who gather together in celebration of the art form known as barbershop music. We are a chapter of Sweet Adelines International. Do you find yourself singing in the car? In the shower? Do you harmonize with your favorite songs? This is your place! Come for a visit and meet our new director Amy Fleming. We rehearse every Monday evening at 6pm, at Five Star Premier Residences, 3201 Plumas, Reno, NV. 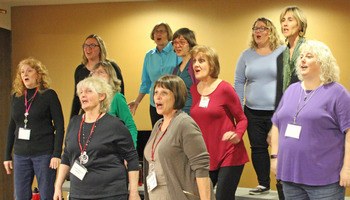 Want High Desert Harmony Chorus to sing at your next function? 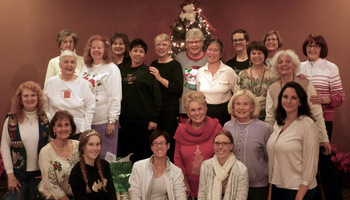 Why not hire High Desert Harmony Chorus to entertain at your next event? We can perform at corporate functions, charity events, community Entertainment events, birthday parties, christmas parties, awards nights, weddings, engagements, anniversaries, engagements, and even funerals and memorial services.